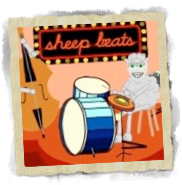 Sheep beats is a drum sampler. It shows you how to use box notation for three sounds on the drum kit. 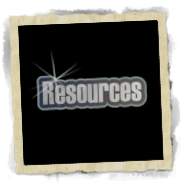 You can also add in bass guitar riffs and some cool piano chords. Try it out! Write down the new rhythms that you have created on our Blank 16 Box Notation.pdf. To print, just click print on your browser, and then, when you are done, click the back button to return to this page. We usually only have one row of boxes to notate our rhythms. This is because we can only play one sound at a time on most drums. Sometimes we might need two or more rows of boxes. When notating Djun Djun rhythms for example, we need a row of boxes for the drum, and a row for the bell. Download more arrangements of boxes from our notation worksheet page on TES. Check out our free Box Notation Guide there too. 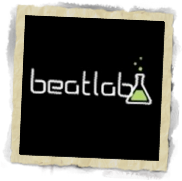 Beatlab is a more advanced drum sampler. You can upload sounds, change the speed, and play more than ten instruments at a time. There are also options to save and share your work. 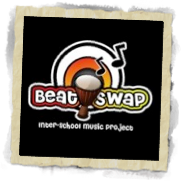 The BeatSwap Blog and RZResources Blog are a way for us to share news about our projects, and to share resources like videos and free downloads for children and teachers. Take a look, leave comments, and come back again soon to see more recent posts. Check out our cool drums! Just email or call for individual prices.